Have you wondered what happens on a neuro-scientific and physiological level when phsychedelics enter your body? That question has been at the root of the psychedelic experience for generations if not centuries. Ancient mystics had the understnading that these sacred plant medicines contained tribal DNA which was necessary to keep cultures and history alive. However, now that we have more data and research available we can augment that thinking with actual stuides that illustrate how the brain is effected when these agents enter our system. Highlighting the results of two fMRI studies and one MEG study with psilocybin and an fMRI study with MDMA, Carhart-Harris will report the effects of both drugs on regional brain activity and brain network organization. Additionally, he will report the effects of both drugs on brain and subjective responses to personal autobiographical memory cues. 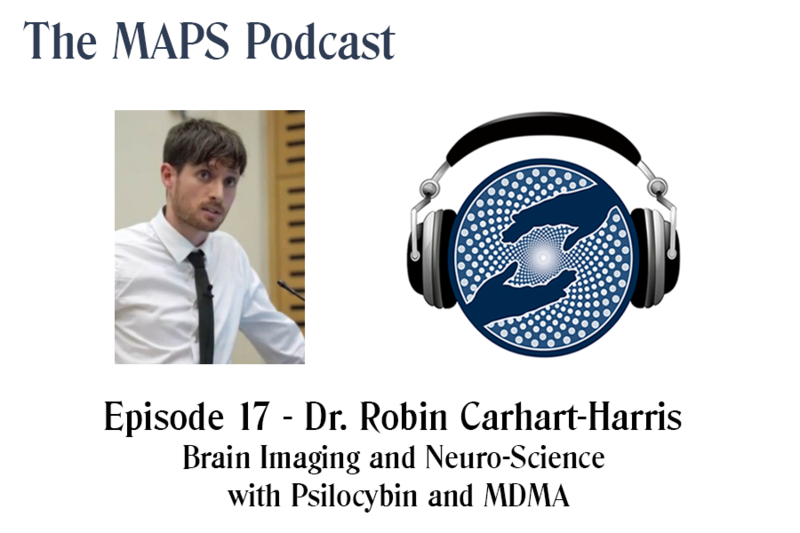 Dr Robin Carhart-Harris talks about his scientific research into the effects and potential therapeutic uses of psychedelic drugs. Join him as he discusses brain imaging work involving psilocybin, the active ingredient of magic mushrooms, and explains how the drug works in the brain. In 2005, Robin began a four year PhD in Psychopharmacology at the University of Bristol. In 2009, he successfully coordinated the first clinical study of psilocybin in the UK and the first clinical study of a classic psychedelic drug in the UK for over 40 years. Also in 2009, Robin moved to Imperial College London to continue his work under the supervision of Professor David Nutt. Robin has since coordinated the first resting state fMRI and MEG investigations of a psychedelic drug and the first fMRI study of MDMA in the UK. Robin and David Nutt recently received ethics approval for an MRC-sponsored clinical trial that will investigate the efficacy of psilocybin as a treatment for depression and an LSD fMRI and MEG study. Robin’s work is published in PNAS, Brain, Schizophrenia Bulletin and the British Journal of Psychiatry and he has appeared in television interviews for BBC news and Channel 4.